Why is it important to keep daily reports or site diary at your construction site? In our previous blog posts we already gave you 3 most crucial reasons for keeping construction site records. It looks that we touched on the subject of importance of record keeping in construction, however, we are being asked why it is important to keep job site documentation. Therefore, we decided to provide a few more insights about the topic. For new starters in construction it may be a beginners guideline or introduction to construction management. For those more experienced site managers, field supervisors or superintendents it may serve as a reminder or summary of their daily experiences with construction site records. Construction sites are often build by extensive experience, complex activities, detailed design and planning and co-ordination between various parties involved. Usually, there is also a lot of issues involved in that process. In order to make sure different people understand each other construction teams work according to various documents. These might be drawings or procedures that help us in building and completing construction projects. Different parties involved on the job site might have different objectives towards keeping records from work progress and daily activities. General contractor, for example, might want to document the construction site activities and report on the current situation to the client or investor. The more complex the construction site, the more challenging it is to keep daily records. The client who is spending their money would like to see what effects their expenditures bring. Keeping daily records is also a valuable way of presenting the client with continuous progress. Job site log can be used to explain all the steps to the investor involved in the construction project management. With a documented description accompanied by photographic evidence the whole building process becomes more understandable to the client. For example, your customer may ask you why it is taking so long to install wall cladding. Your construction daily reports can give them more explanation into individual steps and duration of single activities that form the process like setting out, drilling, testing of fixings, installation of supporting bracketry, fixing cladding panels and fixing any seals or gaskets. Another reason that supports importance of keeping daily records for work activities on construction site is just to retain evidence of what happened on particular day. It does not mean these will be used in court. It may just be evidence for internal information and construction file. Without photographic memory it is impossible to remember all the events, discussions and occurrences throughout the construction project lifetime. It does not mean, however, that you want to use it against someone else in an argument about who said what and when. We are not as perfect as we think about ourselves and we forget and make mistakes more often than we tend to admit to it. Construction daily reports can refresh our memory and provide vital details from specific dates, working areas or construction tasks. By recording everyday activities such as weather, number of operatives, man-hours, progress of specific works, safety and quality issues, observations, etc. you create a story of your building site project. You could use your construction daily reports and tell your story of the events within your organisation. It can be used for improving company’s performance or to learn why things happened the way they did. For example, you may want to put the manpower details including trades and man-hours into your daily report. Together with progress data these pieces of information can be used to track performance of your team. Furthermore, this can be used for planning and assessing if the progress at your construction site is going as anticipated. If you keep daily records of work progress you can get clearer insight on ongoing works, organise them better and plan for the future. For example if you track progress on how long it took your team to tie rebar for a concrete slab at level 1 you may want to use this information and plan before you start on other levels. You may need to adjust the workforce or re-organise the works to improve your productivity. What is more, most construction sites consist of multiple trades working together. With many subcontractors on site the co-ordination between all parties and construction management grows into a complex task. Daily reports help in recording which contractor worked in which location and how it affected other trades. It also aids task assignment and tracking of progress on these tasks. You may write in your construction daily reports that you were not able to commence with fixing HVAC ducts as the scaffolding of other trade was not removed from your work area. This kind of record should also serve as a task to the supervisor coordinating works in that location so he could organise the scaffold to be dismantled. Last but not least, by archiving daily activities you also create a document trail to explain the events if needed. That being said we need to mention that in worst case scenario you would need to keep the record of the state of your contract at the construction site in order to protect yourself and your company. You may need daily reports during the construction phase of your project or long time after the completion date. If you’r still working on the project you should include all obstacles and issues in your site diary. This way you can provide a proof that you communicated necessary information to the client or another contractor on your building site. Keeping daily records may help you in protecting from contractual risks and commercial or scheduling claims. As a simple example I can recall recent claims from the plant hiring company who wanted us to pay for rental of equipment even a year after it was off-hired. We kept meticulous records of communication between plant hiring supplier. These were for example delivery and collection booking forms which were added to construction daily reports. In such a way we were able to convince them that the item was no longer in use by us and they must have missed it when it arrived at their depot. What should you do when you are leaving the construction project? Fortunately, I don’t need to write about it in full details as there’s a great article by Anthony Igra who describes various situations in which construction managers may find themselves and what to do in any of these cases. You can read the full post here. However, if I were to sum it up I would say that you should keep the records of all your involvements (as far as reasonably practicable) and keep it on the photos, daily reports, commercial summaries and progress trackers. You never know whether you will need it for the future. How to keep construction site records, especially site diary and construction field report? We have already learnt the importance of record keeping in construction. Now we can move on to the right tool that helps you to maintain construction site records. The easiest way to keep site diary and construction field reports is to do it via construction app. Even more specifically you can use a dedicated construction daily report app like iNeoSyte. This construction daily log app works like a site diary. 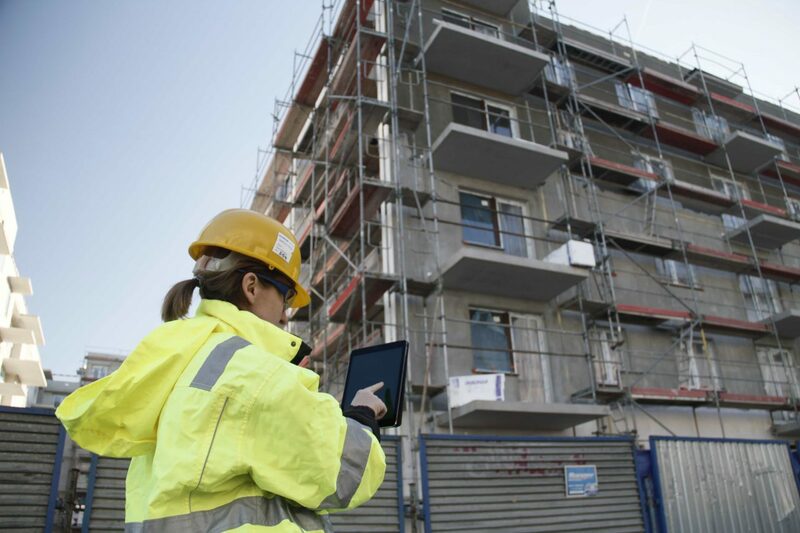 It allows you to create construction daily reports directly from your mobile phone or tablet. The app guides you through the construction daily log and makes it easy to keep records of your work progress or issues. You can support each site diary note with photographic evidence. What is more, you can generate professional construction daily reports in PDF format and share them with other or archive them in the cloud. Along with the mobile app for construction daily reports you can use web browser panel. You can access it from your laptop, desktop or mobile device to edit, manage or download your construction daily report. When compared to construction apps it is fairly easy to use and competition on price. Try iNeoSyte – daily reports app for free, no need for your card or payment details, just register and create your construction site diary in the field.